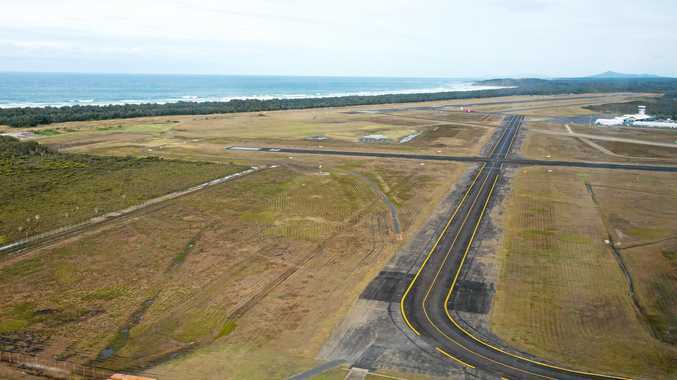 THE potential privatisation of Coffs Harbour Airport has taken another step forward, with Coffs Harbour City Council this week inviting tenders for an independent advisor to assist with the establishment of a new lease model. There's high hopes particularly from the local business community that the airport, which is currently owned and operated by the council, could become a regional international gateway in the hands of a private operator. The airport has been under the management of Dennis Martin for several years, however Mr Martin is set to retire in March. Anticipating this, councillors voted to undertake an expression of interest to the open market for a long-term lease in December last year. This lease would also encompass an industrial hub, dubbed the Enterprise Park, which includes 23ha of commercial land surrounding the airport which is set to soon begin development. At the council meeting, President of the Chamber of Commerce Martin Wells made an impassioned speech highlighting the potential benefits for agricultural exports and tourism. "Consider these current ironies: Coffs has been awarded the World Festival and Events City four years running, we're entering the ninth year of World Rally Championship, we've hosted world touch and Oztag titles - yet we can't fly the world directly here,” he said. There are fears, however, that the average airport user would face heftier prices under a private operator. Submissions for an Independent Expert Advisor close on March 20.